Which is the hottest summer hair color? Or better say which is the hottest color of right now? The answer is right here - platinum blonde hair color. The bleached hair shades have been popular for ages, however at some distinct moment they simply went viral. This moment was last year, around spring when celebrities like Taylor Swift and Emma Stone decided to just go white. Well, this was over a year ago. Trends change, for sure. However, the platinum hair remain on trend. And it already has its own shades and tones to fit your skin tone, eyes color and maybe even mood. When weather changes and nature leaves a new round of life, women end to look for makeover too. It is all about our sensitivity, we feel how the world feels and look for new ways to express ourselves. What can be better than changing hair color? Perhaps, this is the easiest way. However there are some implications too. Hottest hair color trends 2017 Fall/Winter 2018 will bring you much choice of hues. Indeed, we usually think that in cold weather warm colors will be perfect. Well, it is absolutely true. But there is nothing to detain us from choosing ice blonde hair color too. The current tendencies are quite flexible with both hairstyles and hair colors. All you need to do is to make sure they really fit you and look natural in harmony with eyes color and skin tone, and also with your inner world. What one can do to have smashing look this season? 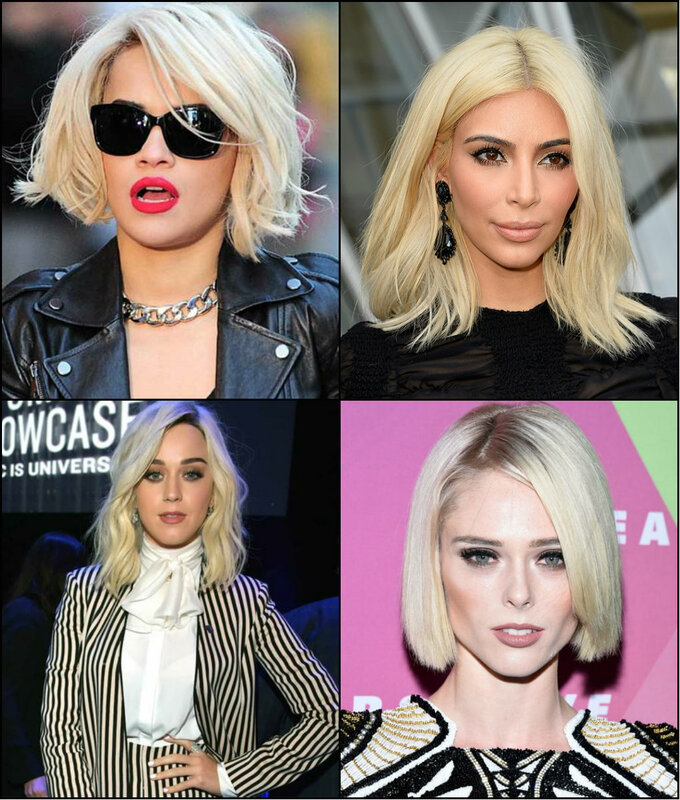 One can go for a most demanded hair combo - platinum blonde bob hairstyles 2017. Now more in detail. First of all, it is about bob cuts. The iconic, the timeless chin length hairstyles that have captured everyone and tend to be on trend for ages more. 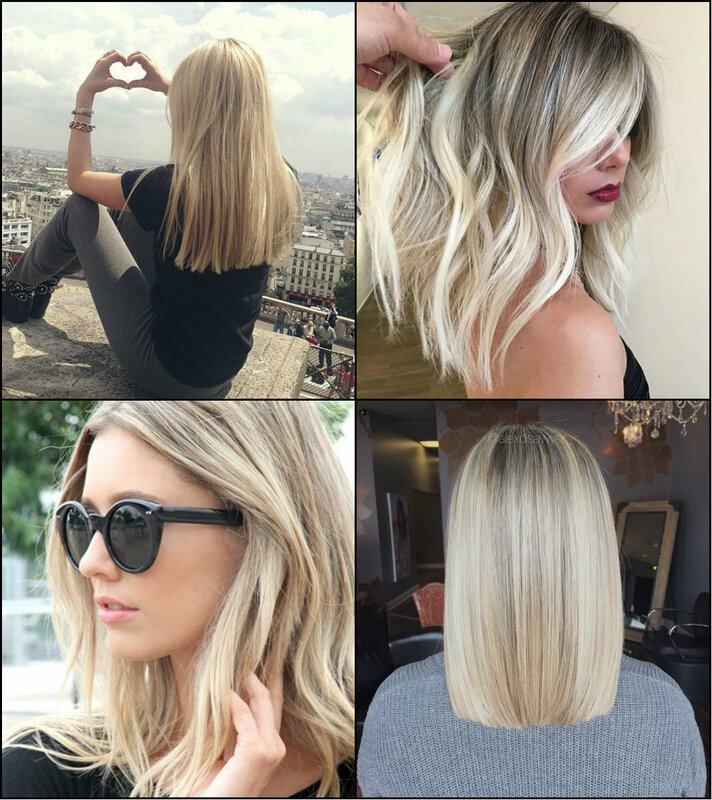 With its slightly longer variation called lob, the bob haircuts are really the major trend for these seasons. Now imagine adding to this jazzy style a color that drives everybody crazy and gets spread with the speed of light. 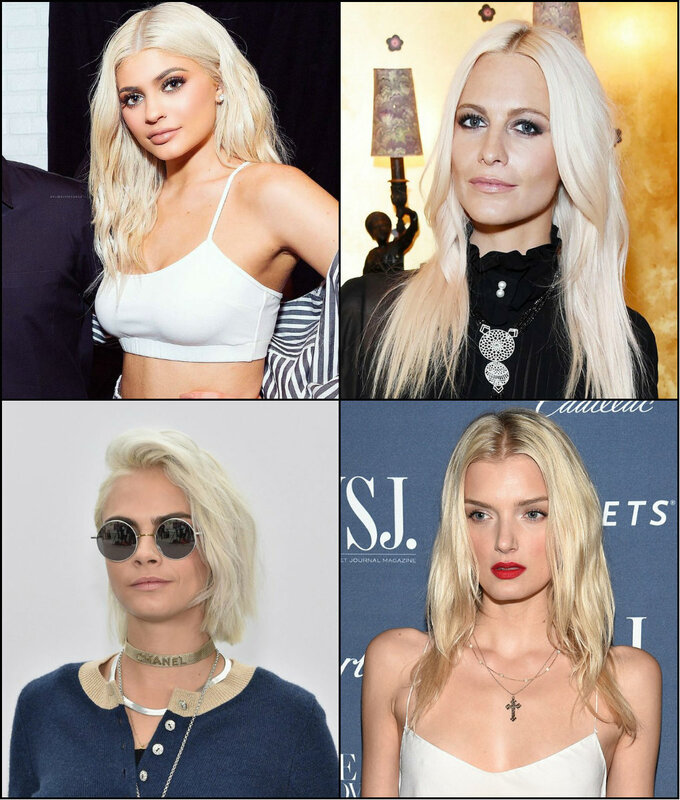 Platinum blonde started to be spotted last summer of 2016 when many celebs one after the other started to go for it. Little by little it went viral. And is still going! Holidays are coming! 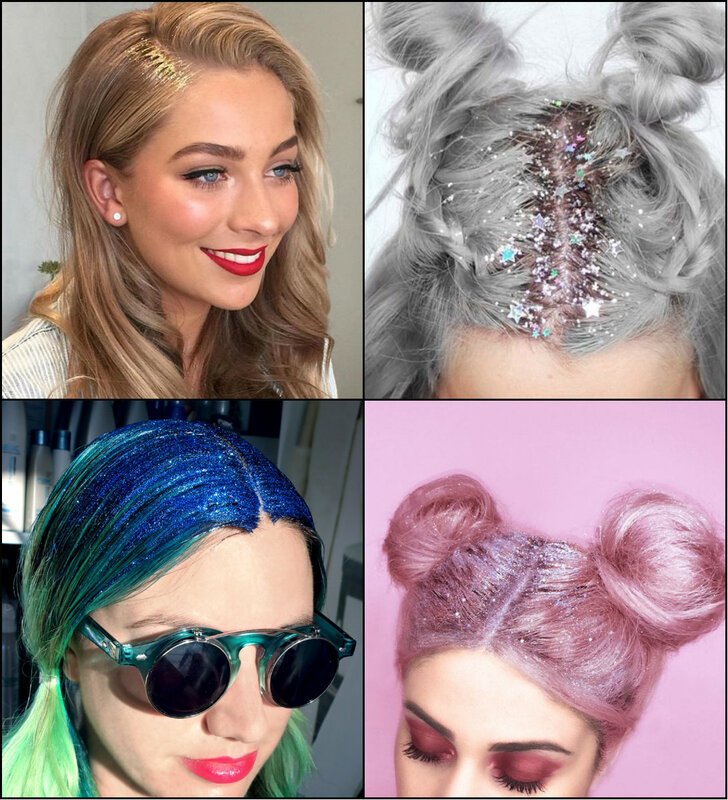 It is official, it is December, and you can;t waste a single minute, find out the best hairstyles fitting the party looks - glitter roots hair trends 2017! What? Adding glitter to hair? Like I am a kid? Like I am from a Broadway musical? Well, not so much exaggerated but almost yes. The trend has started some time before and towards the Christmas party hairstyles it is a good option to consider. What you will need is obviously glitter, the rest is not that important. As far as we are now talking about New Year time, make sure to have glitter of appropriate colors like silver and bronze, festive and full of winter spirits. Is there a way to make bob haircuts look more fascinating? Apparently there is. Actually, the bob length provides statement look without addons. With the chin length hairstyle yo will forget about styling hair for hours, Yet, you will still have the length to create cute braids and twists, half knots and even complete updo hairstyles. But, sometimes it is not enough, Women are very easy and quick to become bored, But you can't go and shorten your hair each time you want to freshen up your look. And changing color drastically is also not an option to experiment all the time. Consequently, there remains another great variant - highlighting. 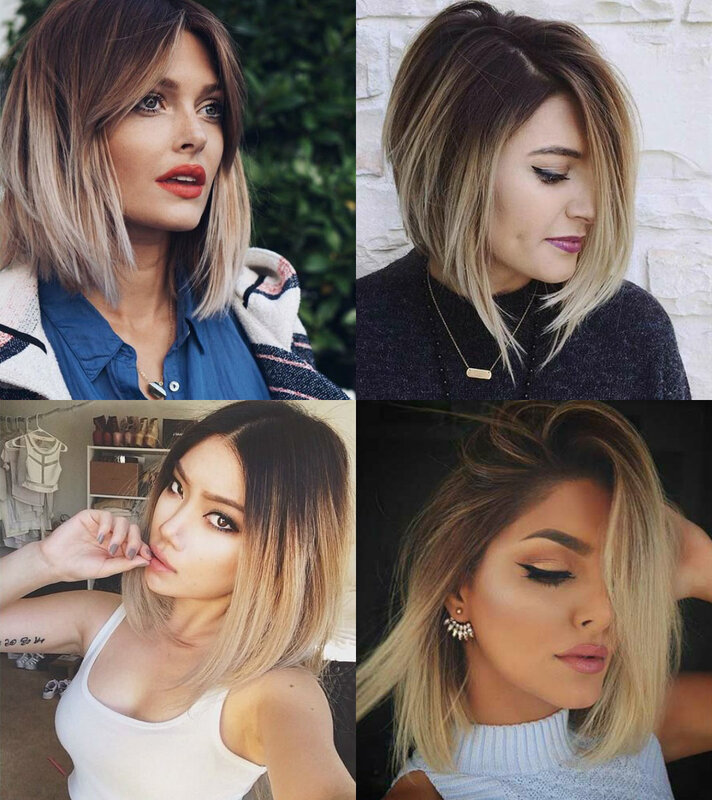 Ombre bob hairstyles will become your favorite ones. If you want to get a style for every day awesome looks, yet not requiring too much attention, yu are in the right place reading the right post now. Mid length hairstyles are what you need to get the amazing looks without spending efforts. The length slightly cascading down your shoulders is the infinite well for getting new ideas about updo hairstyles, and elegant downdos. Also such length will allow you to experiment with colors. Medium blonde hairstyles 2017 are the ones that you need to know today to style them tomorrow. On the whole, blonde is the color that is always in fashion. Besides, the last summer with its crazy trend for bleached and platinum blonde only arouse more interest towards this timeless shade. Want to get ready to meet winter appropriately? Here is a good way to do it - dye hair into grey! Well, the moods of autumn and winter may be dull and depressive, the rain and snow without sun are all about grey days. There are two ways to fight this situation. You either dye hair into warm shades like auburn hair colors. Or on the contrary get along with the weather and dye hair into silver and grey tones. At first sight, silver is associated with older women hairstyles. The modern trends have guided them to absolutely not dyeing hair whenever they start going silver. 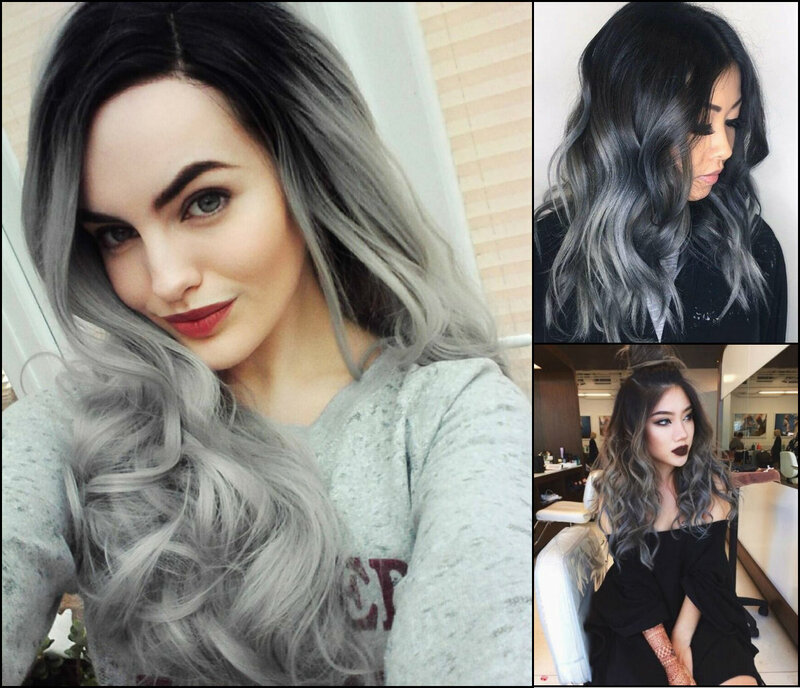 However, young women with dark brunette color also love the trendy shade and most often go for magnifying ombre grey hair colors.